Panasonic Toughbook CF-19 Mk6. Fully refurbished and ready to use. In reality this is likely to be within 24 hours dependant on how busy we are. You may collect. Variation in these will invalidate warranty. Panasonic Toughbook Laptop MK 5 CF-19. 4GB DDR3 RAM. Brand: LenovoProcessor: Intel Core i5 1st Gen.
Est. delivery dateEst. 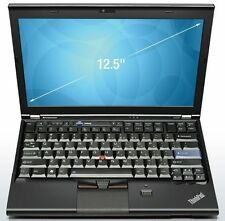 delivery Thu, Apr 25Type: Notebook/LaptopBrand: DellProcessor: Intel Core i3 2nd Gen.
Lenovo Thinkpad X230 12" Laptop. Variation in these will invalidate warranty. In reality this is likely to be within 24 hours dependant on how busy we are. Otherwise fully refurbished and ready to use. Collection station availableType: Notebook/LaptopBrand: HPProcessor: Intel Core i5 4th Gen. Brand: AcerProcessor: Intel Core i3 1st Gen.
HP Compaq 6910p Laptop / 14.1" Widescreen / Core 2 Duo Processor / 2GB RAM / 80GB Hard Drive / WiFi / Windows 7 /. 2GB DDR2 RAM. 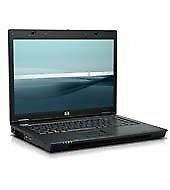 HP Compaq 6910p Laptop. 1 x HP Compaq 6910p Laptop. 80GB Hard Drive. Battery Life. Brand: LenovoProcessor: Intel Core i5 3rd Gen.
Dell Latitude E6440 - Grade A Condition - Literally New. 320GB Hard Drive. Office 2016. Top Rated PlusEst. delivery dateEst. delivery Thu, Apr 25Type: Notebook/LaptopBrand: LenovoProcessor: Intel Core i5 3rd Gen.
Lenovo T430, 14" Laptop. Variation in these will invalidate warranty. You may collect. In reality this is likely to be within 24 hours dependant on how busy we are. We Accept Only. Ending Soon. Extended warranties available. Our range of computer system are suitable for professional and students alike. VLC Player- Good For Watching Movies. Hard Drive 160 GB. Optical Drive DVD RW. CHEAP 17" TFT Monitor - Assorted Makes- Acer Dell HP Hanns G (FREE CABLES). 240GB SSD Hard Drive. Units have been cleaned & sent through diagnostics to ensure all is functional. Unit will be repaired or replaced. All original parts as fitted by Lenovo, no parts changed. Type: UltrabookBrand: LenovoProcessor: Intel Core i7 5th Gen.
HP Elitebook 6930p Laptop. 1 x HP Elitebook 6930p Laptop. 4GB DDR2 RAM. 80GB Hard Drive. Battery Life. In case of any problem we will help. 14" Widescreen. 100% Support! DELL LATITUDE D530. Our range of computer system are suitable for professional and students alike. VLC Player- Good For Watching Movies. Hard Drive 160 GB. Optical Drive DVD RW. CHEAP 17" TFT Monitor - Assorted Makes- Acer Dell HP Hanns G (FREE CABLES). Top Rated PlusCollection station availableType: Notebook/LaptopBrand: LenovoProcessor: Intel Core i5 3rd Gen.
Lenovo X250 12.5" Laptop. Variation in these will invalidate warranty. You may collect. In reality this is likely to be within 24 hours dependant on how busy we are. We Accept Only. Browse All. Extended warranties available. Panasonic Toughbook Laptop MK 5 CF-19. 4GB DDR3 RAM. WIN 7 PROFESSIONAL 64bit. 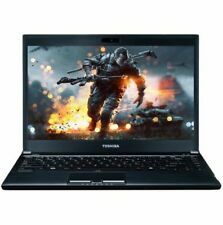 Lenovo T420i 14.1" Laptop. Otherwise fully refurbished and ready to use. Variation in these will invalidate warranty. In reality this is likely to be within 24 hours dependant on how busy we are. You may collect. 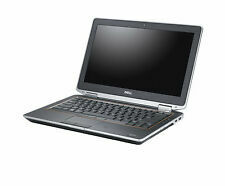 Type: Notebook/LaptopBrand: DellProcessor: Intel Core i5 2nd Gen.
VLC Player- Good For Watching Movies. Hard Drive 120 GB. Optical Drive DVD RW. Skype- Good for Video Calls and Chat. Adobe Reader- Good For Viewing, Printing, Signing, and Annotating PDFs. HP Compaq 6710B. Our range of computer system are suitable for professional and students alike. VLC Player- Good For Watching Movies. Hard Drive 160 GB. Optical Drive DVD RW. CHEAP 17" TFT Monitor - Assorted Makes- Acer Dell HP Hanns G (FREE CABLES). Solid State Drive: 120GB SSD faster than normal hard drives. Integrated Subwoofer. this laptop CANNOT run fortnite. Optical Drive: 8x CD/DVD burner (DVD /-RW/ R) with Dual-Layer. in good condition may have minor scuffs on the cover. Brand: DellProcessor: Intel Core i3 2nd Gen.
Panasonic Toughbook CF-C2 Mk1 12.5" Laptop, i5 1.8GHz, 4GB RAM, 128GB SSD, Windows 7, Ref 551. Panasonic Toughbook CF-C2 Mk1 12.5" Laptop. Also the left hand corner rubber cap is missing and the keyboard, mousepad and palmrests all show signs of moderate use. Brand: PanasonicProcessor: Intel Core i5 3rd Gen.
PANASONIC TOUGHBOOK CF 19. WOW SNOOPER WURTH V5.00.8R2. Panasonic CF-19 Toughbook Tablet Laptop. WOW SNOOPER V5.00.8R2 WURTH DIAGNOSTIC SOFTWARE. WOW SNOOPER WURTH V5.00.8R2 WITH DEVICE. FOR DIAGNOSTIC PURPOSE. Microsoft’s seventh operating system remains one of the most stable in its product line. Its intuitive interface, solid performance, and holistic software inclusions make it relevant even in the post-Cortana era. When you’re looking for a laptop Windows 7 is the benchmark used to judge other operating systems, so it makes perfect sense for bargain hunters. 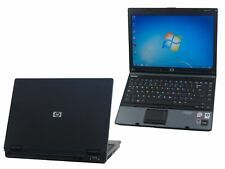 How well do laptops with Windows 7 and HP perform? If you’re hoping to lay your hands on an HP laptop, Windows 7 is the ideal operating system for bargain hunters. If you choose a second hand laptop with Windows 7, it will push that price down even more. Windows 7 laptop clearance items are perfect for empty wallets. What software can you use with laptops with Windows 7 installed? 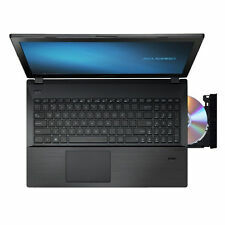 Laptops with Windows 7 Professional are compatible with 32-bit software. Some security programmes won’t work on laptops with Windows 7, and any drivers you add will need to be a few years old. Windows XP Mode may improve compatibility in some cases, but Windows 7 was a holistic operating system with its own collection of software. You can thus fire up Windows 7 laptops and begin working without spending hours on installation. 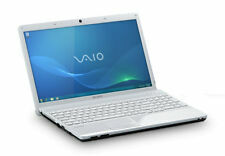 Do Windows 7 laptops come in student and professional versions? A restore centre, encryption, and the potential to adapt to 64-bit functionality. BitLocker, which keeps sensitive data secure and allows laptops with Windows 7 installed to encrypt memory sticks. Streamless connection functionality that lets your machine access your phone and the rest of your network. If you choose a second hand laptop, Windows 7 will be able to form a part of your overall device usage. What extra features does Windows 7 have? A Windows 7 laptop will give you Microsoft support until 2020, and upgrades can be performed with contemporary hardware. Content provided for informational purposes only. eBay is not affiliated with or endorsed by Windows 7 Laptop.